Use https instead of http in your website is becoming a necessity, not only to protect your users, but because improving the SEO of your website. Surely you had planned to do ... but you have not dared even because you know it's complicated. Well, here's this little guide to help you switch from http to https. You need to activate the SSL certificate that you provide your hosting. To do this, enter the control panel web hosting you want to make safer and look for the section "Security". There you should find a sub section called "SSL Certificates" next to the padlock icon. Section and enters that activates the certificate. Usually a free service and is done in one click. If your hosting does not offer this service, you can find it here Let’s Encrypt ... but things will not be so easy. Now you need to tell your web use the certificate that you just activated. If the web is created with WordPress this is really simple. You download the free plugin "Really Simple SSL" install it and activate giving the 'on' button. There, everything OK. If your site is created with another content manager, looking for the equivalent plugin. If your site is handmade, you must change the .htaccess. The plugin also ensures that when someone enters an old indexed without the https URL or some old link, go to the right page rather than one with 404 error. At this point, the web is already working with https, so you can enter it and check it. Unfortunately now we have to change more things: your Google Analytics and your Google Search Console (the old Google Webmasters). Go for it. How to tell Google Analytics to your site now uses https? You go into your account, you go to the admin area, enter configuration property and once there, where it says "default URL" http https change. Guards, and that's it. How to tell Google Search Console now using https? You have to enlist a new property ... you can not do anything with the old. Some other things that can help: Redo the Google Sitemap of your website (in the plugin "SEO by Yoast" if you use WordPress) and give high Google Webmasters again. Google also learns so quickly that now you use https. If your robot.txt contains instructions on where your sitemap, edit this information and indicates that Your sitemap is now in https. Well, with this you should have about the web, all right, well sure. As you see, make the change http to https is laborious, So do it calmly. If you have user registration or especially if you manage an e-commerce then not hesitate, and do it. If you have any questions about any of the steps, please send me the question through the comments of this article. Every day I meet my students have trouble connecting these two services Google. The truth is that most of Google Analytics features are very well explained, but instead activating this connection it is not. So to facilitate the work, here's this video that explained the advantages of having this connection and how we do it. I am responding to questions through 3isic Youtube channel, The Research Institute that I have the pleasure of directing, but if you have any questions in particular can also raise it through a comment on this blog post and will look to answer you as soon as possible. This morning is participating in the forum of my subject in the Master in Finders taught at IDEC (Pompeu Fabra University) and I saw that some students were not clear what the Rebound ratio a website and what might be the causes that lead us to exceed the number that would be logical. He rebound ratio or bounce rate is the number of people entering the site but not navigate the, divided by the total website visits. That is, reflects views that do nothing on our website, maybe ... but read (although the latter can not be sure). If not they clicked on any part of our website, Google Analytics (or analytical system you're using) can not calculate how long they have been on the site and also counts as the rebound. 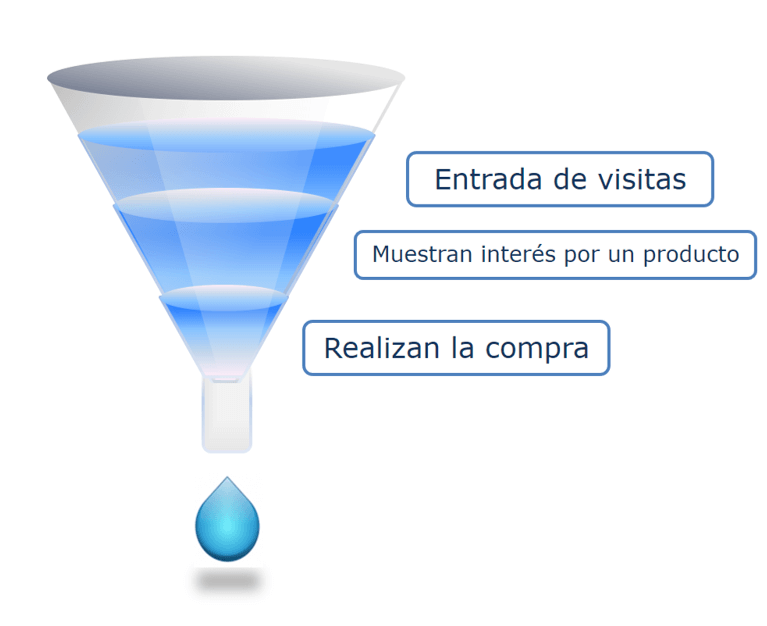 Visitors who come to our website, not part of the segments of our target audience and therefore are not interested in our ... and go -> users coming from a poorly made or fraudulent advertising campaign would be in this subset but here users would also be arriving by SEO done without clear objectives. The prices of our products are beyond market, and therefore users the look and leave. The web is too slow ... and therefore endure downloading a page but I think 2 times before going sailing. The usability of our website is terrible and users do not know what to do to keep browsing or read more information. Users are browsing on a mobile device and have no version for these devices or our website is not responsive (That automatically adapts to any screen resolution). The design is unprofessional and therefore, the image conveyed by our company as well. Users do not take us seriously and go. This applies to corporate websites. For a website type blog, the bounce rate may be somewhat higher (60% approx.) And not pass anything because many users are recurring visits (visits have been other times) ... may the user reach the website , read the new blog post and leave. They will not read more because they have read the other information. In a blog type website, we should review the bounce rate of new visits, and get interested in these other related items, or the most read, the most shared, etc. In the case of the new, the bounce rate itself should be below 40%. Before raising our our SEO and online advertising campaigns (SEM and the rest) we must be clear who is our target audience, Which segments comprise it, how are the people who are part of the segment, which will search Google, which websites visited, etc ... that is, we must do a good marketing analysis before executing any action. Before raising any action we make a good analysis of competition. We must know what the prices are competitive, their value proposition, what sets us apart from it ... Thus, although our prices are higher can argue why users should buy our products and not those of our competitors. The website should be tested by someone. The problem of speed and usability problem could have been detected with a beta-tester (someone try our website before publishing the final version). With a good testing also we would detect lack of persuasion, or lack of realization of the goal of the website. So it is 100% recommended that four or five people who do not know the web, testeen before us and we can observe what they do it, how they navigate and what are fixed. At the moment it is out of place not consider having at least one web responsive. We would be losing almost 30% of visits (depending on the sector in which we move, in tourism, we would be losing a lot more). A corporate website should reflect a professional image 100%. Today, with the large number of inserts of payment for WordPress, Joomla, Magento or any other manager and content, there is no excuse not to enjoy a professional design on our website. So now you know ... check out these 5 points and make sure the bounce rate of your website That's the right one. I hope these tips will be useful. Go class of yesterday! I do not feel very happy even though a good number of students got everything to work ... many did not. And thank goodness that Alfons and other people who got it to work helped me get by solving the incidences of the rest. On the one hand, I now realize that next time to impart this kind have to reduce the number of attendees and secondly, I have to centralize all students in one ISP to seeing a single control panel can work all (and will be the www.sync.esOf course, he was the one who gave no problems). But ... we get to the point which is what I've written this post. Like many not hit one out WordPress install and operate 3.0 left with were to repeat the session this coming Monday at 10 am, if I got a classroom at the Graduate School. Unfortunately this has not been possible, because I did not remember that Administration is making summer time and contacted them last 15h. So I could not request the classroom. What I will do is this: the first thing Monday morning I will ask for the classroom Thursday 29 10 am to 2 noon. As soon as I confirm it, the public and comment on this blog. Domain name directed to the contracted hosting. Name of the database, the user name (with administrative rights) and password. FTP client (Filezilla is good). Download WordPress 3.0 to install on the hosting contract. Create a database and a user, but not assign the user to a particular database or not give admin permissions to that user. While not pass WordPress from your computer to the server (FTP) and lose some files along the way. Paswords logins and confused when installing WordPress asks for data from the database. Look over the database created. This will be able to see it on the control panel hosting contract. WordPress hosting up to carefully and making sure that all files uploaded. A mistake that had users who hired the hosting CDmon was that the FTP there is already a file called index.html and index.php when we get our WordPress conflicts with it. You must delete the index.html. That makes WordPress installation can begin well. Creating a good document with the logins and paswords all, so that it is clear what is what. Using WordPress version 2.9 if doing the installation and have no problem but when you hang up critical errors and gives you no way to enter the control panel of the content manager. Come on, good luck! If all goes well, see you on Thursday, we will conduct an installation again and again we will see how to use templates (themes - themes) and how to modify them. We will also install some plugins so you can see how it works, including facilitating auto_install codes Google Analytics. Following requests received from some of my students next Friday, July 23 I impart a special meeting for all students in any of the Masters where I teach en la UAB. This class is open to students in the 2010 editions as alumni of the 2009 editions. In principle, students can attend this class should receive a notice from the university in their emails. Class: Creating a website using WordPress as content manager. Duration of the class: About 4 hours, although if they wish, students may leave as soon as they have the website online and running. What we learn: aprenderemos cómo descargar el software para la gestión de contenidos (WordPress), cómo utilizar un cliente de FTP (File Transfer Protocol) para subir ficheros a un servidor, cómo crear una base de datos y un usuario para esa base de datos, cómo instalar WordPress en un hosting, cómo configurarlo, cómo cambiar el diseño original de WordPress utilizando nuevas plantillas, cómo editar una plantilla y cómo entrar el contenido al sitio web. 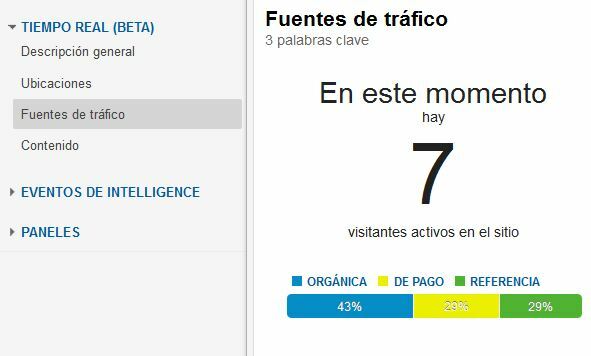 Si tenemos tiempo y todo sale bien a la primera, también veremos cómo abrir una cuenta en Google Analytics y cómo incluir los códigos de seguimiendo en WordPress para poder analizar el tráfico de la página web que habremos creado. Your own laptop to connect to the WIFI network of the Graduate School. A domain name for the website you wish to create (for example: vuestronombre.com). You can buy here https://www.cdmon.com or www.sync.es or any ISP and costs about 13 euros per year. Having all this takes an active couple of days ... so do not wait to the last minute to buy it because it will serve to have it ready in class. A class you must arrive with the login and password control panel of the contracted accommodation. This will be sent by email when you make the hiring of hosting. If someone does not want to buy a domain or hire a hosting but want to follow the class, you can do it anyway. I will live installation screen classroom. http://info.cdmon.com/index.php?page=instalacion-wordpress&hl=esp in case of emergency we can see in class what happened. What you learn in this class will serve to install any type of content management system (including electronic commerce). You will see how in a morning get a fully functional website! Class language: It is possible that this class students of the Master is aimed at Euroasian International Business, if any of them do not speak Castilian class would be taught in English ... but do not suffer because'll going table to table checking what you are about doing and helping those who have difficulties. If you are a student and the week of July 23 has not yet received the notice from the university and wish to attend this class, please send me an email.